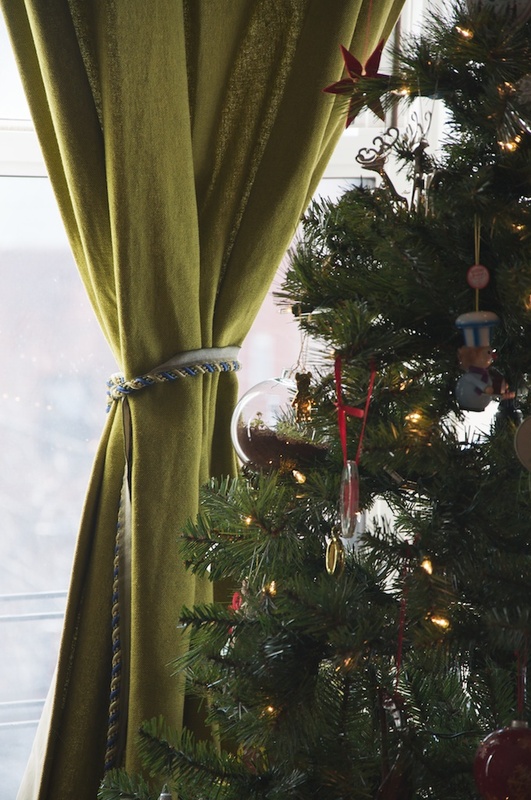 We've added some life to our fake Christmas tree: a living ornament. A plant is nestled inside this glass bulb, roots and all. We brought home this ornament on Sunday, after meeting and talking with its creator, Erick Rexrode of 4mula, at The Brooklyn Flea. 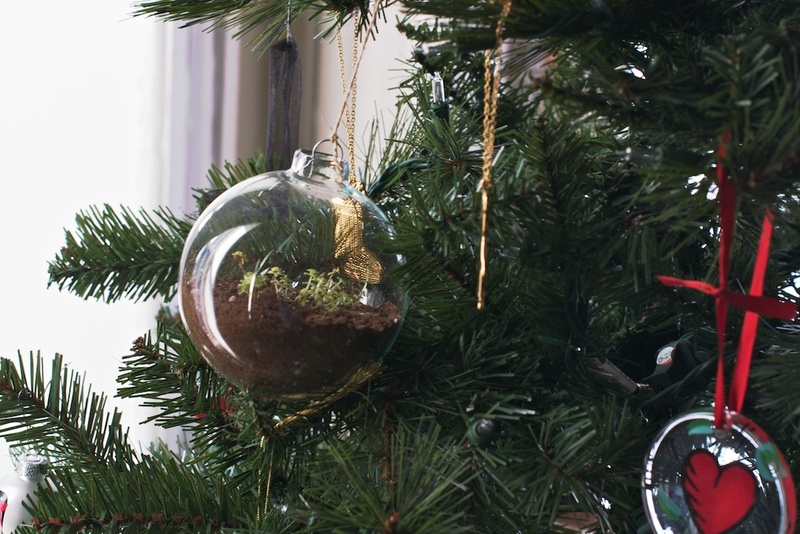 Erick has delicately nestled baby plants (succulents, to be precise) into glass ornaments. Each ornament is designed to be hung at Christmas, 'hatched' at Easter, and then transplanted to a garden or pot. 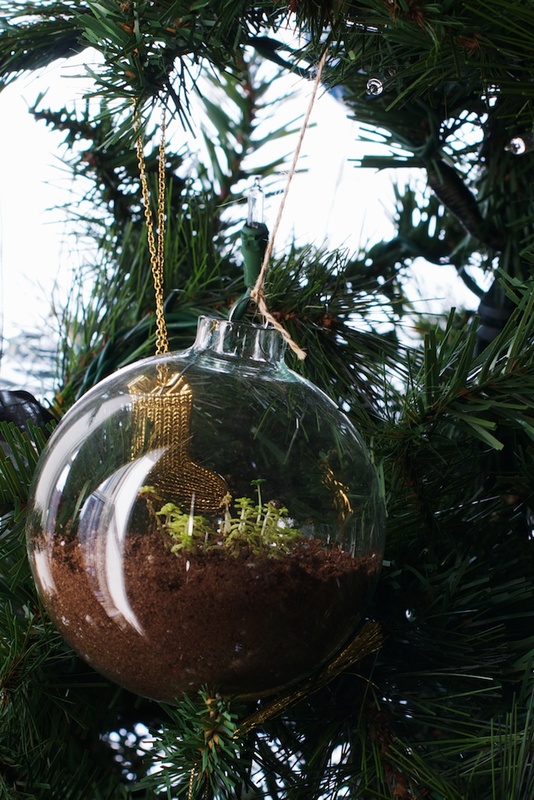 In creating these ornaments, Erick's motivation was to return one's awareness during the holiday season to new life and growth (instead of consumerism). 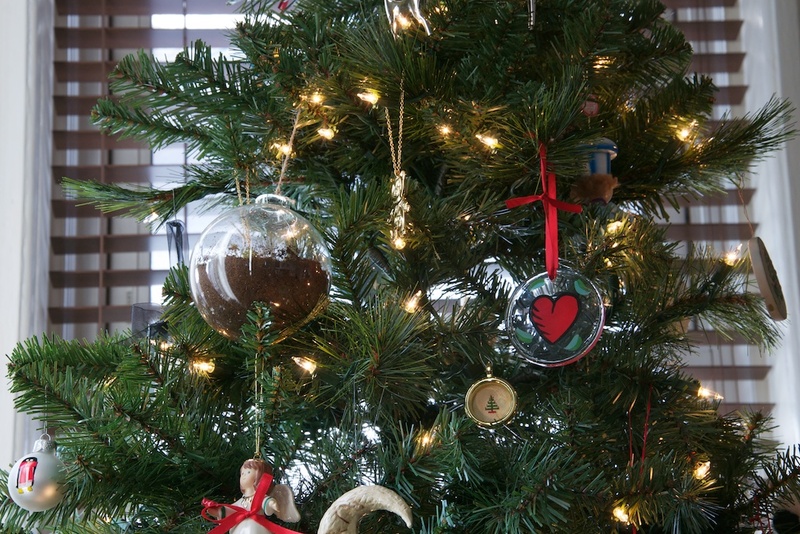 After we put away our Christmas tree, we'll hang our ornament near a window and wait until Spring!